This weekly series of dharma video clips inquires deeply into the reality of the Self, the nature of Love, and the Eros of Evolution. Enjoy the Series! A person is aroused to identifying their unique gift through the practice of writing outrageous love letters. The writing of outrageous love letters awakens the person to their essential identity as an irreducibly unique expression of the love intelligence and love beauty of all. When you awaken as the irreducibly unique verb of the love-intelligence living in you and as you, you begin to play your song. You sing the song that only you can sing. You write the outrageous love letter that only you can write. Deeper still you become the outrageous love letter that only you can be. You participate in the Unique Self-symphony of reality’s infinite creativity by playing your instrument, which is utterly necessary and needed by all that is. By acting locally as an outrageous lover within your circle of intimacy and influence, you play the notes, which begin to go viral. Moreover by sharing these outrageous acts others are inspired to commit outrageous acts of love and the Unique Self symphony of outrageous love is deepened and expanded. The outrageous acts of love are shared organically through their being witnessed in every person’s circle of intimacy and influence. The outrageous acts of love are also shared however by a person writing the story of their outrageous act of love in an outrageous love letter. The personal heart opens again and again in outrageous love. The heart of reality opens again and again to the outrageous love that is both source and destination. This completely shifts our relationship to self, the world and love. Instead of constantly looking for the right person you look to become the right person. The right person means not right in any externally imposed code but right for you. Right for your soul’s code. 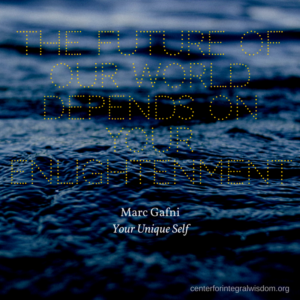 Right for you means for Your Unique Self, which is an irreducibly unique expression of love intelligence, which lives in you and as you. Since there is only One Love and One Heart then a person’s opening up to their own irreducibly unique manifestation of outrageous love directly participates in the evolution of love. By committing the outrageous acts of love that are an expression of your Unique Self you awaken the music of source which needs you to heal reality. You are filled with energy, joy and creative Eros. Your heart explodes in passion and emotion. Your beautiful mind is awake, creative and elegant. You have awakened as an outrageous lover writing outrageous love letters to all that is through your very being and becoming. This is a vision of evolutionary intimacy. There is only one way to heal the collective trauma of our generation, which lives in you profoundly and personally. You must close the gap between your ability to feel and your ability to heal. How can you do that? You become potent and powerful. You claim your greatness. 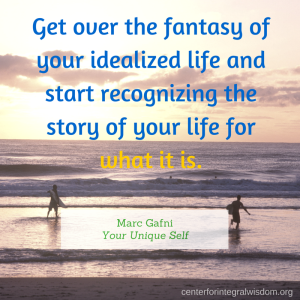 You wake up to your true identity. You begin to play a larger game. At this point you know our next sentence. You realize that you are not merely a skin-encapsulated ego. You are an irreducibly unique expression of the love-intelligence and love-beauty that is the initiating and animating Eros of all that is, that lives in you, as you, and through you, that never was, is, or will be ever again. You are a Unique Self. You are not merely a fingerprint. You are a Soul Print. You have a life to live and a gift to give which perfectly co-responds to a Unique Need in the world of un-love that can only be addressed and healed by you. 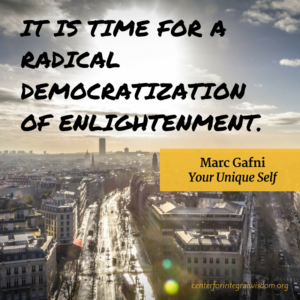 When you awaken as Unique Self you are awakening into your own enlightenment. You are not meditating or praying your way to enlightenment. That rarely works anyways. 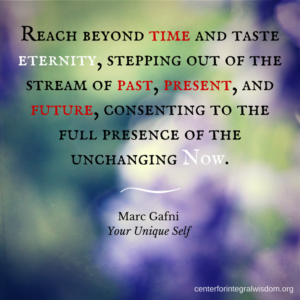 You are loving your way to enlightenment. That never fails. In the old world of top-down intelligence, we waited for Godot. This was the name of Samuel Becket’s famous play about waiting for a messiah to come and heal us. A messiah who will never come. In our new sacred evolutionary understanding of reality we realize that God both holds us and lives in us, as us and through us. Christ, Spirit, Love-intelligence, Love-beauty, Wisdom all awaken in our awakening. The leading edges of science are now recognizing that the universe has an inherent, self-organizing quality of Eros. This quality of Eros or love-intelligence moves reality towards higher and higher levels of mutuality, recognition, union and embrace. This is not a top-down quality imposed by a king, a mythological, cosmic vending machine god imposing external and arbitrary laws. It is rather the sacred natural law of reality itself as recognized by all the great mystics in all the great traditions. To get a sense of what we mean by self-organizing intelligence think, one last time of an anthill. As the pioneering work of E.O. Wilson already pointed out, a king or queen ant does not run the anthill. The gorgeous and precise orchestrated complexity and effectiveness of the anthill comes from “each ant ‘seeing’ at street level what is needed by its neighbors”. This is the principle of self-organization that the leading edges of science are now recognizing as the inherent nature of reality. With a deep bow to anthills we as human beings have the capacity to awaken exponentially beyond the capacity of ants. It is true that we have limited resources as the political pundits or dire prophets remind us so often. But we have infinite creativity when we awaken as source. No human beings need to heal the whole story. You cannot heal the whole story by yourself. Your desperate, yet beautiful desire to heal it all creates that gap between your ability to feel and your ability to heal which closes your heart. But, as a uniquely tuned instrument in the great self-organizing Unique Self-symphony, you can heal it all. Let’s look again for example at the four major levels of moral development roughly termed egocentric, ethnocentric, worldcentric and cosmocentric. Each level transcends and includes the level that preceded it. At the egocentric level you have a felt sense of love only for yourself and your immediate circle. As you evolve you move to the ethnocentric level in which you have a felt sense of love for you and your entire tribe or nation. 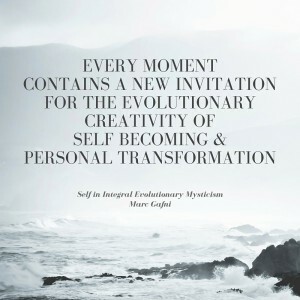 In healthy evolution you transcend and include. You still love yourself and your peeps but now you can feel love for your entire tribe. You then transcend and include one more level up towards worldcentric consciousness. At this level you have a felt sense of love not only for yourself and your people, for your tribe, but for all human beings. Finally you transcend and include one more level up to cosmocentric. Here you have a felt sense of love and concern for all the previous levels and for all sentient being and for all of reality. The meandering trajectory of evolution from quarks to cosmocentric consciousness is no less than the evolution of love. In sweeping terms we might say that each of the six big bangs that we unpacked in chapter X, transcends and includes the big bang before it. Each level transcends and includes its previous level. Each level then is holding more, including more, loving more of reality. This is the process of the evolution of love. For evolution is once again seen as love in action. Biological evolution, the second big bang, transcends and includes cosmological evolution, the first big bang. Biology includes all the elements of chemistry and all the laws of physics. Cultural evolution, the third big bang, transcends and includes both biological and cosmological evolution. Cultural evolution includes all the laws of chemistry, physics and biology. Evolution awakening to itself, the fourth big bang, transcends and includes all of the previous levels of cultural evolution as well as all of the laws of biology, chemistry and physics. 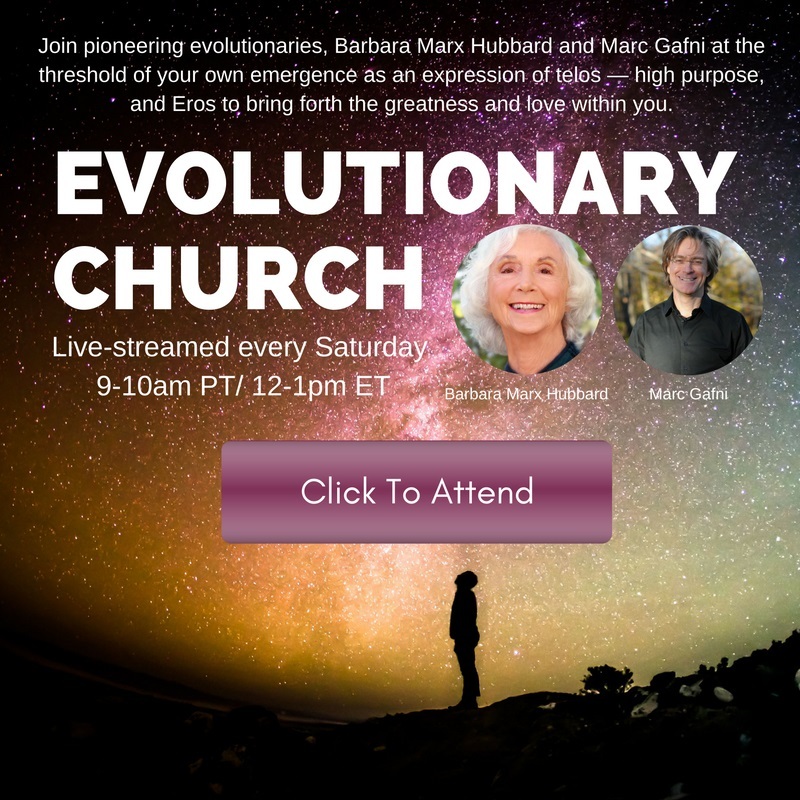 Evolution awakening as Your Evolutionary Unique Self, the fifth big bang, transcends and includes the fourth big bang—which is evolution awakening to its own self-awareness as a process, even before the individual awakens as the engine of evolution. It also includes all of cultural, biological and cosmological evolution. Finally the emergence of evolutionary we-space, the sixth big bang includes Evolutionary Unique Self, evolution awakening to itself, as well as cultural, biological and cosmological evolution. Each great flaring forth, each big bang transcends and includes all the big bangs that came before it even as it adds an entirely new emergent. The creative advance into novelty runs like a thread throughout, motivated by the evolutionary Eros itself. We began the book with the core of our post-post-modern, post-dogmatic, sacred creed. We live in a world of outrageous pain. The only response to outrageous pain is outrageous love. We then developed the distinction between ordinary love and outrageous love. Outrageous love is Source itself. We outlined the path to awaken as an outrageous lover—to commit the outrageous acts of love that are yours and yours alone to commit. We unpacked the practice—beyond meditation and prayer—of writing outrageous love letters. We then outlined the other key laws of love necessary to overcome the obstacles to awakening as an outrageous lover. We articulated the verbs of love, the stages of love, and the distortions of love that create shadow. We then turned to the great question: Why we close our hearts in the face of outrageous pain? We realized that our hearts close in the gap between our ability to feel and heal. To love is unbearably painful. Not to love is even more unbearably painful. When we close our hearts to outrageous pain our hearts close to their true feeling in every part of our life. To open our hearts we must close the gap between our ability to heal and our ability to feel. This begins with the realization that it is not yours to heal it all. It is yours to respond as an outrageous lover—committing outrageous acts of love—that address a unique need that arises in your unique circle of intimacy and influence. You awaken as outrageous love by giving the unique gift that addresses this unique need in your unique circle of influence. 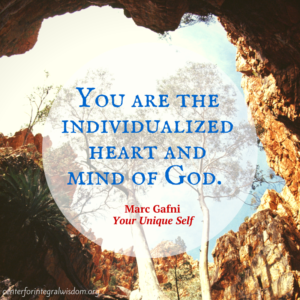 Your unique gift is a natural function of your unique self—which is comprised of your unique perspective and your unique taste—the unique quality of intimacy that incarnates as you. In giving your unique gift your reclaim your potency. You reclaim your power to heal. By reclaiming your power to heal you reclaim your ability to feel the pain. You are able again to live with an open heart. You remain awake as outrageous love. You know that you cannot heal all of the pain. 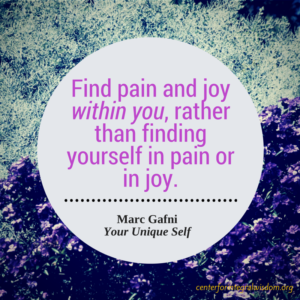 But you can hold that for you are able to powerfully address the pain that is yours to heal. That is the pain that can be addressed by the potency of your unique self.